Dear Dr. Peterson-you been a very significant influence on the health over the last 20 years, starting with finding that I my digestive problems were due to low stomach acid. None of the G.I. specialist came up with anything. The initial PRP prolotherapy back in 2009–what a difference, especially noticeable in the osteoarthritis of my thumbs and knees. Since 2003 I’ve had intermittent sciatic pain from lumbar stenosis alongside of scoliosis. In 2008, two West Coast orthopedic surgeons offered to rebuild my spine but my friend Jean Lusk told me about her comparable medical situation resolved from PRP prolotherapy by Dr. Peterson Erie I agreed to 6 months treatment which lasted from February till July 2010. The conclusion is that I have achieved 80% success in relieving the pain. What I have gained has been just short of miraculous! My attending M.D. remarked that as a 75 year-old my progress was just short of a miracle! Dr. Peterson has helped me overcome my health challenges. On my first visit, Dr. Peterson asked the right questions and examined the whole system to discover a critical piece to the puzzle that other doctors overlooked. From then on, I was on the right path to healing! As I continued my treatments, it was as if the injuries no longer even existed.. I am often cautious when I hear someone exclaim, “that treatment was amazing” or “what a miracle”, however, hear I am saying those same words after just a few treatments of prolotherapy from Dr. Peterson. I came in to get treatment for some old athletic injuries from a water skiing accident in 1994 and many various crashes alpine skiing, plus the usual aches and pains of being athletic. I had sustained quite a bit of trauma to my sacro-iliac joint 15 years prior to seeing Dr. Peterson in a water skiing accident and then many years of alpine skiing crashes on top of overuse injuries in weight lifting, running, cycling and mountaineering. I had pain and limitation in range of motion mainly in the sacro-iliac joint area, but with many areas to include shoulder joint, knee and along my sacrum and lumbar spine. After receiving just 2 treatments, I already had significant improvements in pain and motion, plus I was getting stronger. As I continued my treatments, it was as if the injuries no longer even existed and I had new supportive ligamentous support. Now, telling my story many years later, I feel I can actually say, “wow, that was a miracle treatment by Dr. Peterson.” I have competed in various CrossFit competitions, continued to cycle even harder, continue to excel in my strength, recovery from workouts and backpack and climb for days and days without pain or dysfunction. I just cannot say enough about Dr. Peterson and his Prolotherapy. I use my hands in my work and for 8 months my right hand and thumb got stiffer and more painful until finally my thumb froze up, the pain was terrible but I had no choice but to work through it. Then I followed my friend’s advice and Dr. Peterson did Prolo on my thumb. After two treatments I seriously have no stiffness, no pain, nothing. It is as if nothing were ever wrong. If ever there were a modern day miracle it is Dr. Peterson and his Prolotherapy. I am a 50 year old mother of two. Several years ago I started having terrible migraine headaches which would incapacitate me for days. I was taking Topamax to lessen the frequency and also AltMax for when I would get a migraine despite the Topamax. The longer I took Topamax, the less effective is was and I was starting to get more and more migraines. Dr. Peterson has treated me twice with Prolo Therapy for my migraines and the change has been remarkable. I no longer take the Topamax, which was costing me $200/month and in the past 6 months I’ve only had 2 migraines, which were greatly reduced in strength and I was able to handle them with Excedrin. The Prolo has also had the added benefit of lessening my neck aches and making my neck feel much stronger. Dr. Peterson had also treated my hip with Prolo. I sleep on my side and was finding it difficult to get a full nights sleep because my hip would start aching, feeling like it had slipped out of place. Chiropractic didn’t help, but with Prolo my hip became stronger and no longer slips out. I no longer have the constant ache in my hip and can now sleep on my side without pain. It is such a relief to know that as I age, I don’t have to just put up with the pain, but can in fact make my joints stronger. I wish I had known about prolotherapy years ago. 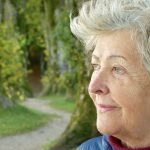 I am a 54-year-old who began experiencing migraine headaches for the 1st time when I turned 50 years old. I had never had migraines before, and the pain was horrendous. Four times per year, I would get these headaches and each time I’d be bed ridden for 4 or 5 days. Even though I was taking Imitrex and Maxalt to treat the migraines, they didn’t seem to help. After doing a good deal of reading and research into my condition, I came to the conclusion that stiff neck muscles might have been the cause. I had been in an auto accident many years earlier and had suffered some neck and shoulder injuries and as a result I had been treated by several chiropractors, but typically continued to experience at least stiffness in my neck on a regular basis. After the migraines started, I again sought the help of two chiropractors, my osteopathic doctor, an expert in kinesiology, and 3 different massage therapist. Although I would typically get some relief from the neck pain, the migraines continued. Gradually my neck pain increased to the point where it could barely drive to work since I couldn’t turn my head while driving. Somehow I heard about prolotherapy, and it quickly got my attention. There was a physician in my area of Seattle who used prolotherapy in his practice, but he had recently retired. In looking at a directory of prolotherapy practitioners I was excited to see the Dr. Peterson was still at the Center for Traditional Medicine. 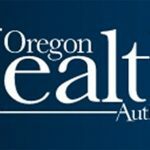 I had been a patient at Oregon Regenerative Medicine prior to moving away from the Portland area in the early 1990s, and thought very highly of the practice to say the least, so I quickly made an appointment to see Dr. Peterson, even though it meant driving all the way from the Puget Sound area. After examining my neck and explaining the theory behind prolotherapy, Dr. Peterson treated my neck with prolotherapy and I was on the way home. After 4 or 5 days, I felt considerably less stiffness in my neck-driving was now possible and relatively pain-free. I went in for follow-up appointments one and two months later, and after the last treatment, the stiffness in my neck was gone altogether, and has not returned. Further the migraines have all but disappeared and I’m now experiencing just one per year, and they’ve lasted just one day each. For me it was a remarkable improvement, and it’s made a huge difference in my life. Earlier this year while playing volleyball, I experience some shoulder pain. After having my doctor examine my shoulder, I found out it was a rotator cuff injury. He suggested that I get an MRI, and that surgery and physical therapy would probably be the course of treatment for me. I did not want to jump into this without another consultation, and I immediately thought of Dr. Peterson. 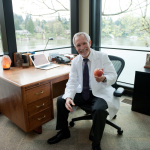 I drove down to Lake Oswego and went in for a quick, easy prolotherapy treatment for my shoulder, and within 2 days it felt remarkably better. 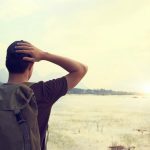 The range of motion had largely returned to normal, I could again put on a shirt or jacket and I could reach back and was not experiencing the severe pain I had had just days before. I followed this up with a 2nd treatment a month later and my shoulder feels so good it honestly makes my right shoulder feel like it could use a dose of prolotherapy is well! And just a month ago, I found myself getting out of bed one morning and experienced a sharp pain in my right knee. After standing on it for several minutes, the pain largely went away. Yet every time I would sit down for more than just a few minutes the pain would return whenever I would stand up again. This seemed to get worse and worse, so I once again I called Dr. Peterson and made the trip down to Lake Oswego to go for another prolotherapy treatment. Within 3 or 4 days my knee was no longer giving me any pain, and it was just after one treatment. I will go back for a 2nd treatment to make sure it doesn’t return, but so far it’s been a miracle for me. In addition, my wife had been diagnosed with severe carpal tunnel in one wrist, and moderately severe carpal tunnel in the other. She’d seen several specialist, and was scheduled for two separate surgeries a few months down the road. Having had so much personal success with prolotherapy, I suggested she go with me to witness one of my prolotherapy appointments, and after an exam by Dr. Peterson, he also suggested that it might very well work for her as well. She received her 1st prolotherapy treatment just last week, and is already feeling relief from the pain and discomfort. She realizes that she will need several more treatments, but is excited to think that she will be able to deal with her carpal tunnel problems without surgery. I only wish more people were aware of all the benefits you can offer because it can save incredible amounts of time, money and energy. Thank you Dr. Peterson. All in all I’m blessed to have come across prolotherapy and all that it has done for me. Prolo has taught me to trust in the body’s tremendous capacity for healing. Prolo has taught me to trust in the body’s tremendous capacity for healing. This has been a big lesson for a person who probably asks too much of her body. As a competitive runner who runs more miles than I drive and who logs these miles on mountain trails that push me to climb, scramble, and sometimes fall, I’ve had my share of frustrating injuries. Prolo has taught me that instead of feeling like my injured body has betrayed me, I can depend on my body’s regenerative potential. Walking now with no pain! Thank you so much for the prolotherapy-I feel great! I can bend my knees with no pain-squat with no pain- I am walking now with no pain! What does this weight loss and change in diet mean for me? It’s like a rebirth. The weight was acquired so gradually, that it just snuck up on me, and I truly didn’t realize how desperately handicapped I had become. I fluffed off the limitations is just part of getting older. Well, now I am older and fat-free and feel as if I could live forever. Every move I make is a move of freedom. My mood is lighter as well, as light as my weight. The vague depression faded as I became physically lighter. I’m healthier because of the weight loss in every way my body functions. I look forward with joy to my future as a healthy, active, very happy, great-grandmother. I could not have accomplished any of this without the help of my good friend Dr. Noel Peterson. He’s been my doctor for over 12 years. His supporting and guidance kept me on the mark.